With another victorious season under its belt, Ushuaia concludes the year with a refreshing concept that turns back the hands of time to our early years..
Ushuaia is a name that resonates with holidaymakers, workers and residents alike, as one of the major players amongst Ibiza's super-clubs. It's al fresco build provides a unique day-to-night partying experience which is nothing short of spectacular. The poolside haven is a favourite on every visitor's itinerary, bringing to Playa Den Bossa unbeatable line-ups and phenomenal productions. With one final date left this season, Ushuaia's Superhero-themed closing party has gripped the island with curiosity. One thing we can confidently bet on — no expense will be spared. On approach to the open-air venue, our prediction fast becomes a reality, as a show-stopping work of art greets us. A wall coated with superhero illustrations representing today's artist line-up, that also converts into a mysterious tunnel through the centre. As we walk inside, dressed up characters welcome us from within glass boxes, instantly moulding expectations for what's in store. An exhilarated army of revellers clutch tightly to their tickets as they restlessly wait within the mammoth queues that snake around the club walls. It's no secret that today's sterling line up paired with the rare opportunity to relive our childhood fantasies has magnetised the island to Ushuaia's doors. We struggle to fight the feeling of having entered a life size superhero comic book as we scramble inside the club, with every other party-goer sporting capes, masks and accessories associated with various characters, gifted by the venue upon entrance. Wonder Woman, Batman, Superman, Captain America you name it, Ushuaia has left no stone unturned. 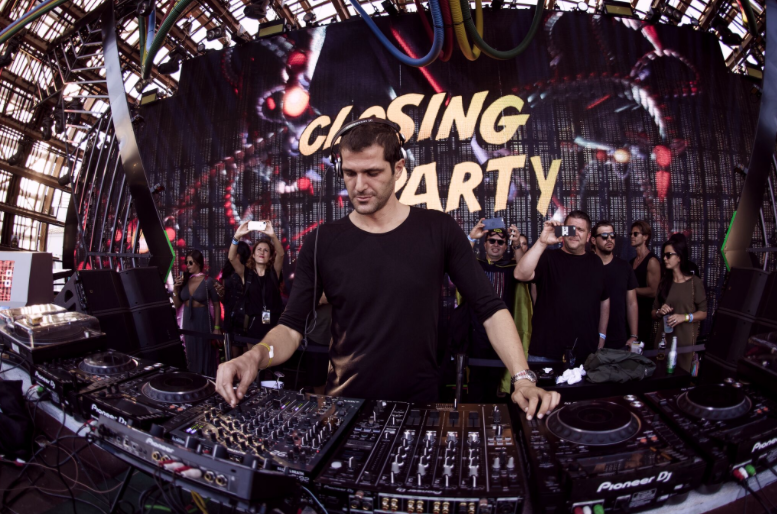 As we delve deeper in to the fist pumping crowd our eyes direct to the stage, where Swiss producer Andrea Oliva is the reason behind the dancing chaos, blasting dancefloor weapons including Sebastian Mullaert's 'Windmaker'. Performers in costumes — ranging from Catwoman to all four members of the Teenage Mutant Ninja Turtles — entertain onlookers as they snap away on their phones. We notice the theme even extends to the drinking cups, replacing the Ushuaia hummingbird with illustrated cartoon characters, appearing like black beacons in the thousands of waving hands that surround us. Electronic music mastermind Black Coffee graces the booth next, playing a sublime set — he spins Mousse T's Mix of 'Purple Rain' as his animated outline bounces on Ushuaia's giant screen. Dancers parade the stage in elaborate costumes, oozing power and triumph as they provocatively sashay to the voyeuristic crowd. Fellow party-goer Alice explains, "This place is like an adult's playground, I've never seen or experienced anything like this — definitely worth the money." 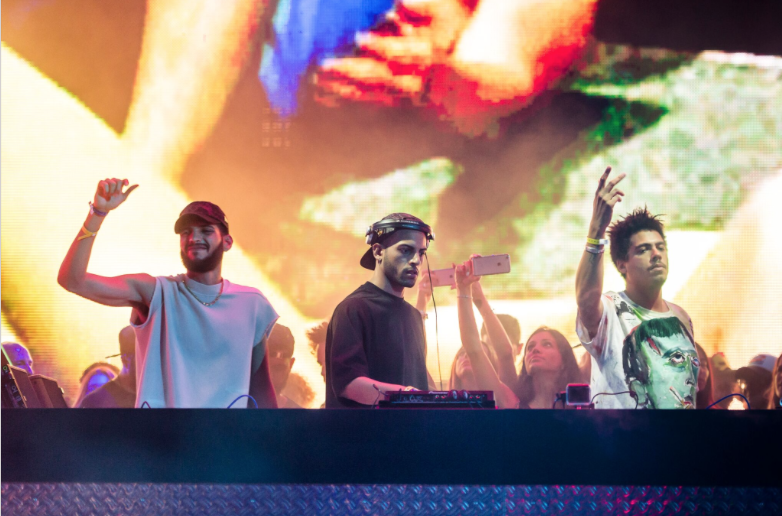 A commotion trickles through the crowd like dominoes as American favourites Seth Troxler and the Martinez Brothers begin their back-to-back set earlier than expected. Opening with Seth and Audion's remix of Luciano's 'The Great Amael', the heavyweight trio has the crowd at boiling point from the get-go. All eyes and ears are now focused to the music, as further classic tracks such as Green Velvet's 'Flash' and the loveable brothers' own 'Stuff In The Trunk' remind the crowd exactly what they are here for. Eruptions of smoke, a web of lasers and rockets of confetti storm into the arena to mark the final set behind the famous booth for this year, as we dance deep under Ushuaia's starry sky one last time.